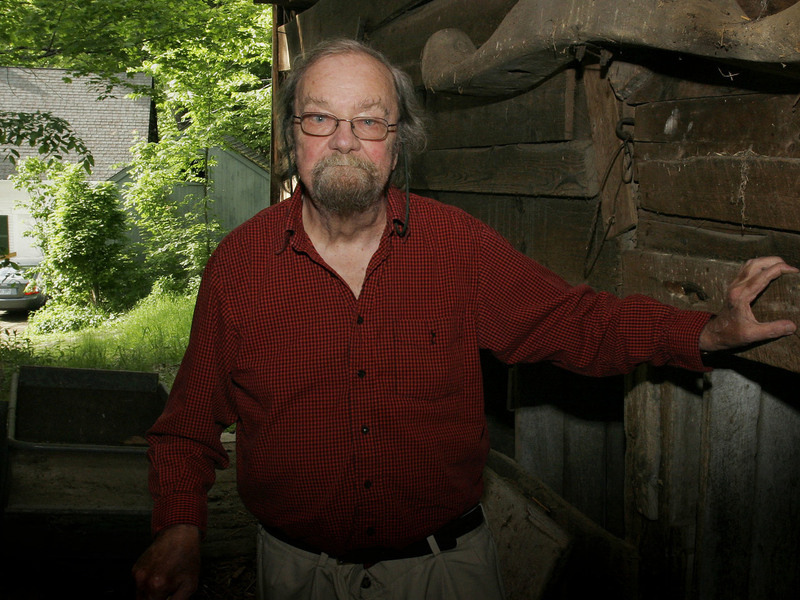 Donald Hall, Former Poet Laureate, Dies At 89 Hall, the author of more than 40 books, died on Saturday at his family farm in the town of Wilmot, N.H.
Donald Hall, former poet laureate of the United States and author of numerous poetry books, poses in 2006 in the barn of the 200-year-old Wilmot, N.H., farm that has been in his family for four generations. Hall died on Saturday at age 89. "My body causes me trouble when I cross the room," he told Fresh Air's Terry Gross in a 2012 interview, "but when I am sitting down writing, I am in my heaven — my old heaven." From 2006 to 2007, Hall served as the nation's poet laureate, and in 2010, he was among the recipients of the National Medal of Arts, the nation's highest honor for artists and arts patrons. His writing, former President Barack Obama once said, "inspired Americans and enhanced the role of poetry in our national life."